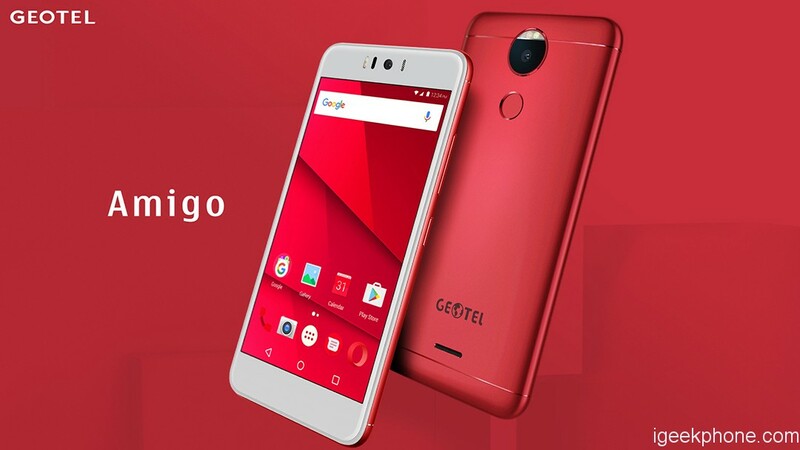 Geotel – is a relatively new Chinese smartphone manufacturer. 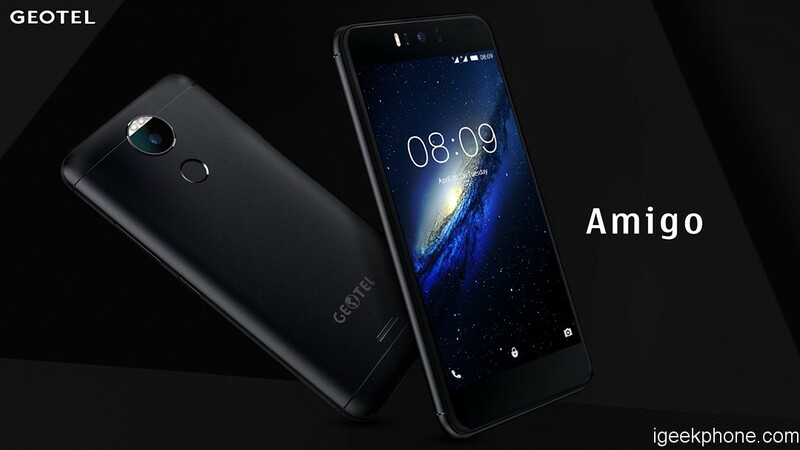 They already have two devices, it Geotel A1 and GeoTel the Note , both options are budget price segment. Earlier, we wrote that this brand is preparing a new smartphone with a red body. Novelty, as expected, was named GeoTel Amigo , today published a comprehensive manufacturer of the device. The last thing we heard about Amigo, is that his body has coloring Alpha Red, like the new iPhone 7 (PRODUCT) Red. The smartphone has a 5.2-inch display with HD resolution, 2.5D glass and 3/32 GB of flash memory on board. The heart of the new items will be Taiwanese processor MediaTek MTK6753 8 cores. Also the phone has a separate slot for microSD memory card with support for TF-cards up to 256GB. What you are sure to be pleased, as is the presence of a relatively recent version of the Google All Android 7.0 Nougat. The rear camera is installed in Geotel Amigo 13 megapixel and the front – 5 megapixels. The front chamber is disposed in the middle of the top panel and flanked on the left and two-tone LED flash light sensor. To the right of the anterior chamber is a LED for displaying notifications. I eat it all from the battery at 3000 mAh capacity. The overall design Geotel Amigo looks pretty good, especially the version in red body. The company promised that the Amigo will be supported and receive updates. Alas, the price and release date, we do not know yet.